Each year, the country of Greece attracts more than 17.5 million tourists, around 92% of which are residents of Europe (perhaps due to accessibility). This is not to say that Greece is not an attractive holiday destination for those from other continents however; the country has been voted as China and Austria’s number one tourist destination of choice many times over the last decade. 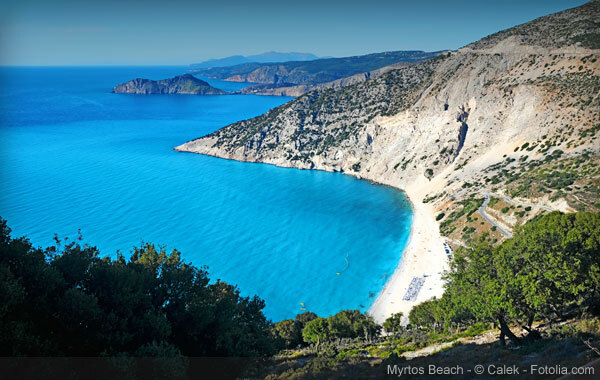 Voted 12 times as Greece’s best beach (and featuring in many Best Beaches of The World lists), Myrtos Beach is situated between two mountains in the north-west of Kefalonia; Agia Dynati (1,131m) and Kalon Oros (901m). Although the world-renowned colours of the water (varying between dark blues, to turquoise, to green) lapping the white sand and marble pebbles of the beach is gorgeous to witness at ground level, those who trek or drive up the winding roads of either mountain to reach a higher altitude will be mesmerised by the sight that greets them. Watching the sunset from this spot can only be described as an amazing, life changing experience since the water becomes tinged with red, yellow, purple and orange hues at this time. Film buffs might also be aware that Myrtos Beach is where Captain Corelli’s Mandolin (2001) starring Nicolas Cage and Penelope Cruz was filmed. 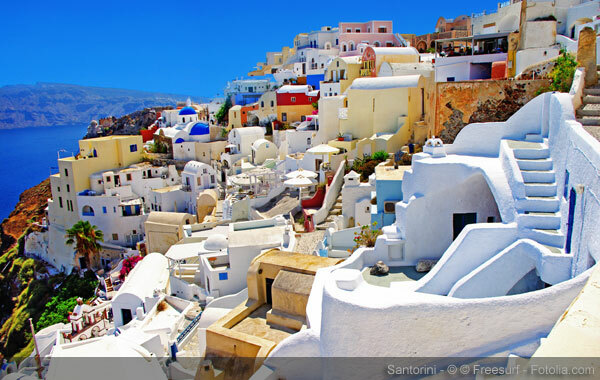 Santorini is a picturesque island located 120 miles away from Greece’s mainland in the Aegean Sea and is an incredibly popular destination for marriages. The appeal should be immediately obvious from the image above; the island’s scenery would not look out of place in any fairy tale wedding! The island is also only one of two locations in Europe to feature a hot desert climate so there is a minimal chance of rain spoiling your big day (so long as you don’t choose to hitched in winter)! Since Santorini is actually the remains of a volcanic cone which blew its top off sometime between the years of 1645 B.C and 1500 B.C, the island comprises the Red Beach, Black Beach and White Beach, each named for comprising sand and pebbles made of solidified lava (colours vary depending on which geological level happens to be exposed). What better views for a newly wedded couple to experience in their first week together! The island of Icaria – located 10 miles from Samos – has fewer beaches than other Greek islands (those that are there however, are beautiful) and is far less tourism focused making the area a tranquil place to relax. This is especially true because many thermosprings are located across the island and these attract locals and visitors alike, bubbling up from the earth at temperatures of 33 to 55 degrees Celsius. Many health and beauty spas are built across the island specifically to take advantage of this natural phenomenon. Since 2000 BC, people have bathed in Icarian’s springs – renowned across the globe for their healing qualities – to help relieve the symptoms of chronic diseases such as rheumatism and arthritis, or to simply unwind. Icaria’s hot springs are also the most radioactive across Europe. Artemidas, for example, emits 790 degrees of radiation meaning that it is unsafe – and therefore closed – for public use. As one of the world’s oldest cities and the birthplace of democracy, the capital city of Greece is a great place for those interested in taking in some of the countries rich and interesting history. 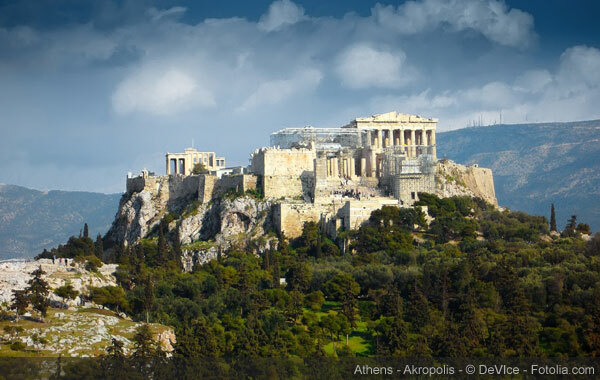 Athens is home to the Parthenon; considered to be a key landmark of early Western civilisation. Visiting the site will no doubt be an educational experience but many simply visit to appreciate its aesthetics; no matter how many pictures you may have seen of this stone temple (built in dedication to the Greek goddess Athena in 447 BC) you can only really appreciate the iconic structure in person. It is hard to believe that its pillars were moved by human strength alone and its designs hand carved! Other points of interest located close to the Parthenon include wall-lined Kerameikos, Roman Agora and the Temple of Olympian Zeus – all sights that should be included into the itinerary of anyone visiting Greece. 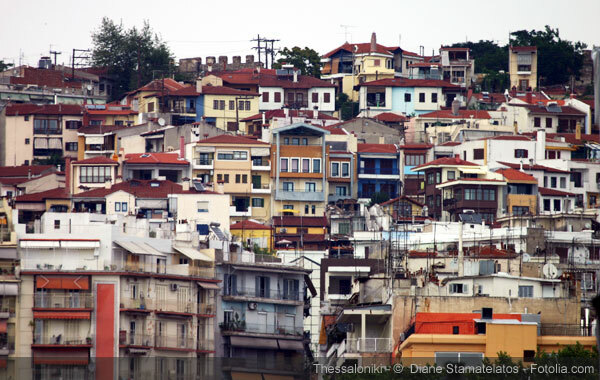 Thessaloniki is the second largest city in Greece and placed fifth in Lonely Planet’s Best Party Towns in the World list in 2010. This is hardly surprising considering that Thessaloniki is home to more than 80,000 university students and we all know how this demographic enjoys a good drink! There is a range of venues to suit most tastes; from artistic cafes, discos, clubs playing house music and those which play traditional bouzoukia music (folk-pop with an Eastern flavour). Popular venues include Boutique Club, Club Vogue, The Real Rocknrolla and Shark Bar. The city also holds the annual Dimitria Festival which celebrates and exhibits music, theatre and dance, as well as the DMC DJ Championship which puts the turntable skills of aspiring DJs to the test. Partying into the early hours in Thessaloniki does not come cheap but there really is no better place to experience the country’s energetic nightlife. 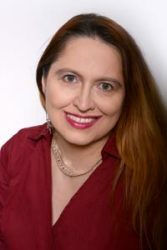 Our guest author, Laura Cole, has stayed in several villas in Greece over the years but her best trips there have always comprised boutique hotels in Crete booked with Simpsons Travel. I totally agree with the list but I would add Meteroa in central Greece. Fantastic monastaries on top of the rock formation. Unreal scenery. 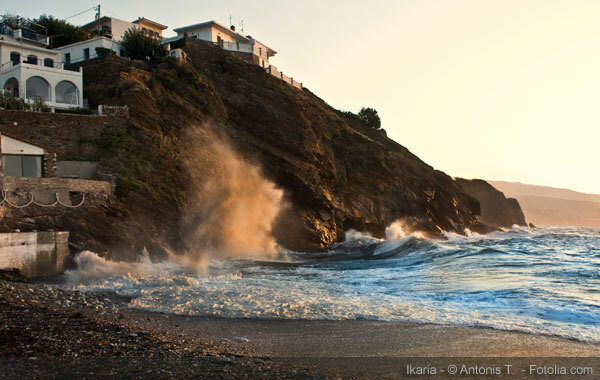 Greece has a lot to offer for various types of tourists.